Happy 101st Birthday to Dolly! Staff at Windle Court in South Woodham Ferrers, Essex, join Florence ‘Dolly’ Sully to celebrate her 101st birthday! Dolly was born in the east end of London in 1917, one of six children, got married and worked for Barclays bank. 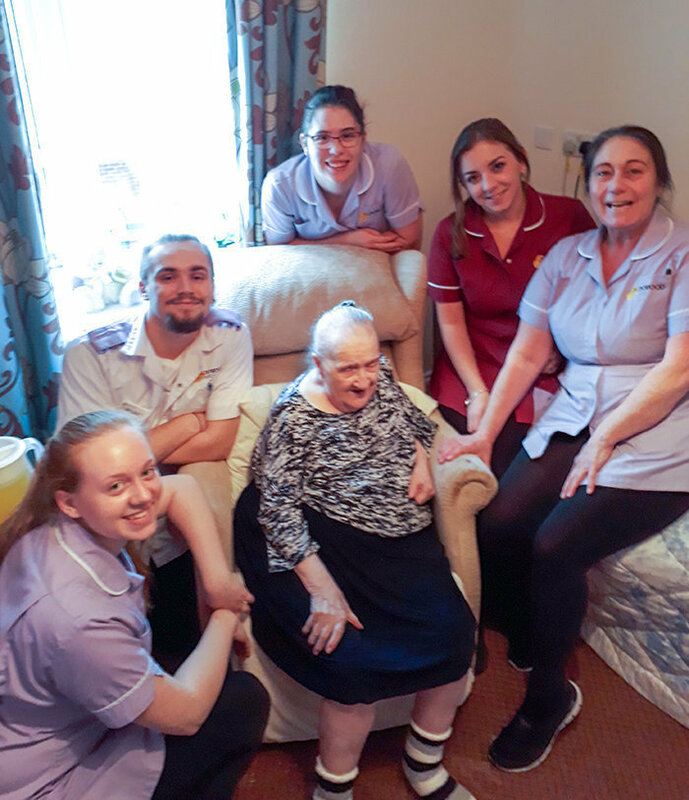 Dolly has lived at Windle Court for 7 years and is now a great grandmother and loves spending time with all of the generations that followed her. Many happy returns from all at Runwood Homes Senior Living! To find out more about Windle Court residential care home in South Woodham Ferrers, Essex, call 01245 425980, email windle.court@runwoodhomes.co.uk or visit the Windle Court web page by clicking here.